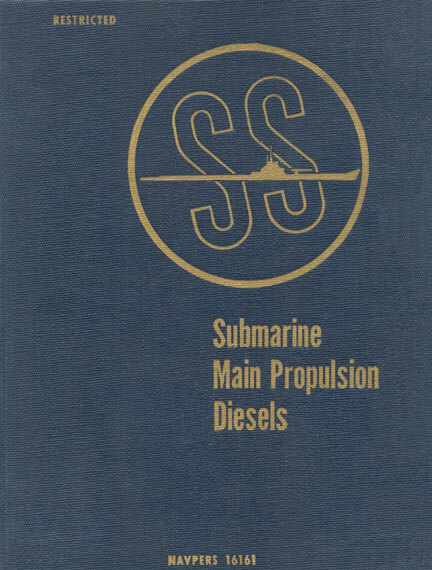 Main Propulsion Diesels, Navpers 16161, is one of a series of submarine training manuals that was completed just after WW II. The series describes the peak of WW II US submarine technology. Our thanks to Shelly Shelstad ([email protected]) for permitting us to use images he has scanned, particularly the oversized images that were meticulously pieced together. History on CD ROM sells a very nice CD or thumb drive version of this manual in PDF format for easy access off the web and for a printing. Thanks also to IKON Office Solutions (now Ricoh USA http://www.ricoh-usa.com) for scanning services. The Submarine School, Submarine Base, New London, Connecticut, and other activities of Submarines, Atlantic Fleet, have collaborated in the preparation of this manual. It is designed as both an instruction and a service manual. Included in the text are detailed descriptions of all engines used on modern fleet type submarines, their various auxiliaries, and the submarine systems used in connection with these installations. In addition, general engineering design principles and diesel engine operating principles are used where necessary to supplement the detailed descriptions. The various classes of submarines in service today have many different types of engine installations and variations in design and operating procedures. No attempt has been made in this book to cover all such variations, but typical installations have been chosen and described in detail, while major variations have been adequately covered. At all times, however, strict adherence to established operating and maintenance principles has been maintained.